Færch Plast has acquired Dutch recycler, 4PET Group, in a move the company says will allow it to “close the loop on plastic food trays”. 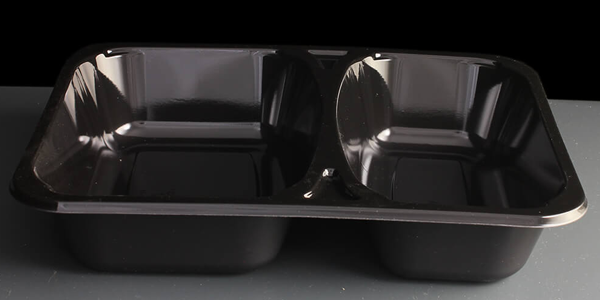 Færch says the acquisition of 4PET, a leading sheet manufacture with recycling capabilities, will see it become one of the world’s first integrated plastic packaging suppliers that can achieve a circular economy for recycling food trays, including black plastic, on an industrial scale. “For years, Færch has been promoting sustainability, and all of our products are designed for recyclability. The acquisition of 4PET Group is an outstanding opportunity for us to close the loop and leapfrog in terms of sustainability,” said Færch Plast Group’s CEO, Lars Gade Hansen. 4PET Group is a European material specialist for PET sheets and food contact quality recycling. It has 200 employees across four sites and a turnover of more than €50 million in 2017. The recycling system it employs incorporates a ‘cradle-to-cradle’ solution for both PET bottles and trays from the waste stream to food-grade finished products. “For many years, we have offered ‘bottle-to-bottle’ solutions, while witnessing the vast growth of the PET tray market. We are very excited that we are among the first to offer an industrial ‘tray-to-tray’ solution. With our bespoke technology, we recycle and process PET of any colour, including black packaging”, explained Jean-Loup van de Wiele, joint founder and CEO at 4PET Group. The two founders will continue to own a “significant proportion” of 4PET’s shares and will continue to run the company. “With the shift from a linear to a circular economy, plastic food packaging becomes a sustainable packaging choice for the food industry. At the same time, thanks to our advanced technology and product innovation, we can offer value-added packaging solutions that prolong shelf-life and keep food both fresh and safe”, added Lars Gade Hansen.